Things slowed down last week on the kitchen remodel. The electricians worked all day Monday, but little else was done last week beyond some planning. The electricians had originally planned to work last Tuesday, too, but plans changed. And then there was the holiday weekend, so everything came to a screeching halt. But now the work is back in full swing. 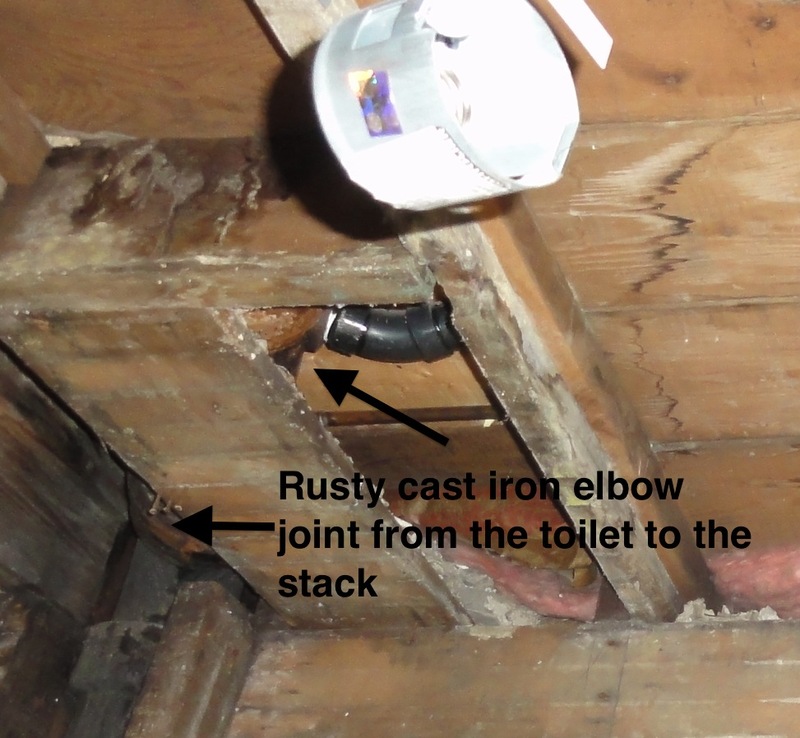 Remember when I mentioned being concerned about the rusty cast iron pipe that was exposed when the kitchen ceiling came down? You never know what you will find when you open the walls of an old house. Well, after talking to the plumber, we decided to have it replaced while the walls are open. Better safe than sorry, know what I mean? I’d much rather spend a few hundred dollars now rather than thousands after the kitchen is finished. 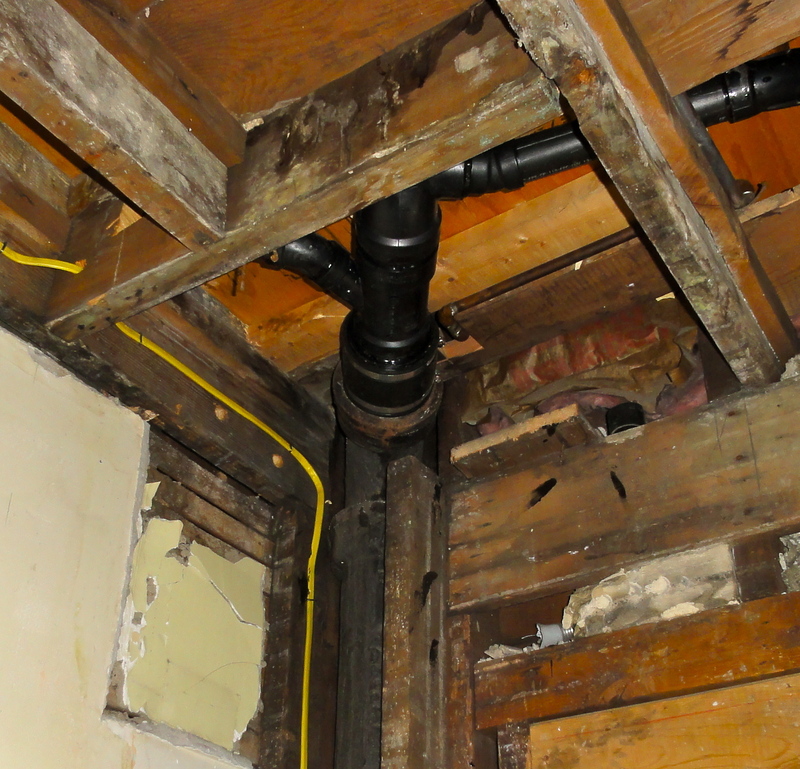 The pipe may have held up for decades, but if it had cracked or burst two months, or two years, or even ten years down the road, we would be kicking ourselves for not having taken care of it when it when the walls and ceiling were open. Fortunately, the plumber was able to replace what needed to be replaced without having to do anything to the bathroom except remove, then reinstall the toilet. 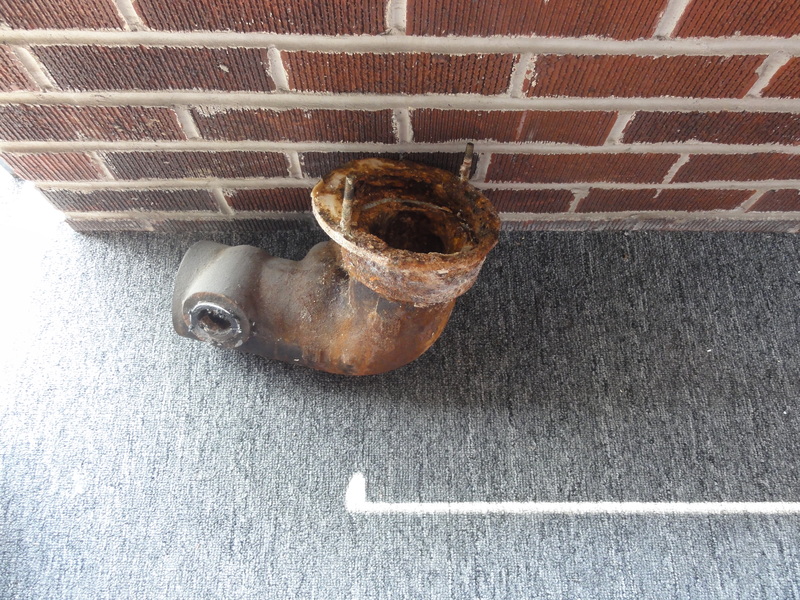 The new pipes and fittings won’t rust. If this had cracked or ruptured, it would have been a real mess. Next up–fixing the kitchen floor, insulation, the range hood vent, and drywall. The old hardwood will be coming up and a new subfloor will be laid to prepare the floor for porcelain tile. The exterior wall behind the sink will be insulated, the vent for the range hood will be installed, then drywall will go up. I’m really happy that the range hood can be vented outside. I’ve lived with recirculating range hoods for a long time, and they really don’t do much except provide lighting, contain some of the cooking grease, and keep the smoke detector from going off, sometimes. I think this week will be a productive one. I’m hoping it all comes together nicely. I really don’t have much of an eye for design, so I’m keeping my fingers crossed.